Home \ Showbiz News \ Netflix vs. Cannes: Will the Company’s Original Content Succeed Without Hollywood Approval? Netflix vs. Cannes: Will the Company’s Original Content Succeed Without Hollywood Approval? Is it wise for an entertainment company to get into a scuffle with the most prestigious film festival on earth? Netflix (NASDAQ:NFLX) apparently thinks so. The 2018 Cannes Film Festival, now in progress, won’t screen any upcoming films bearing the Netflix name. The company pulled its movies over an escalating disagreement with the festival’s organizers. In an industry full of traditions and built on buzz, investors will have to consider whether snubbing Hollywood ends up hurting the company’s future film efforts. 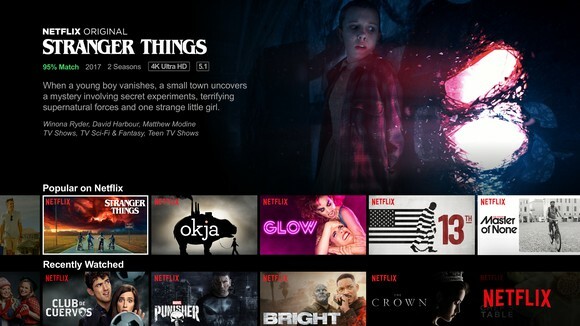 For those who haven’t browsed the Netflix catalog recently, the streaming service has taken a page from Hollywood studios and dived headlong into the production and distribution game. Its name is on titles with big stars like Adam Sandler and Will Smith — these stream alongside the company’s popular TV series like Stranger Things and Lost in Space. It’s important for Hollywood studios to project an air of prestige around their more ambitious projects, and events like Cannes also provide gobs of free publicity. But the tussle between Cannes and Netflix arose from a recent change in the festival’s rules. A new regulation mandates that for a film to play in competition, it must have theatrical distribution in France. That’s a tough one for Netflix, as French law stipulates there has to be at least a three-year gap between a film’s theatrical run and its debut in home entertainment such as streaming services. Almost needless to say, that’s a no-go for a company whose success relies on streaming content. In its movie-making efforts, Netflix has fewer allies. That’s no surprise, given its insistence on debuting its feature films in theaters and on the streaming site simultaneously (its big-budget fantasy action movie Bright was to open in a grand total of two cinemas in the U.S.). And the company is sinking an awful lot of money into original material. Most recently, it said it would spend over $8 billion on around 700 pieces of content. Although it didn’t break down this 700 between film and TV offerings, we can be sure the former has received, and will receive, plenty of capital. An Adam Sandler or Will Smith doesn’t come cheap. There are ways to thread the needle here. Look at Amazon Studios, the movie unit for the giant retailer that eventually feeds content to its growing Prime Video service.